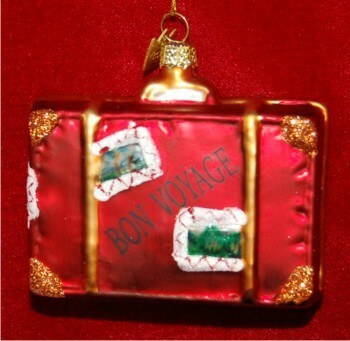 The bon voyage suitcase Christmas ornament features a wonderful retro look produced in rich crimson and gold crafted from quality blown glass. This is one of our travel & beach ornaments personalized with the year and a memorable destination you enjoyed with family or friends. 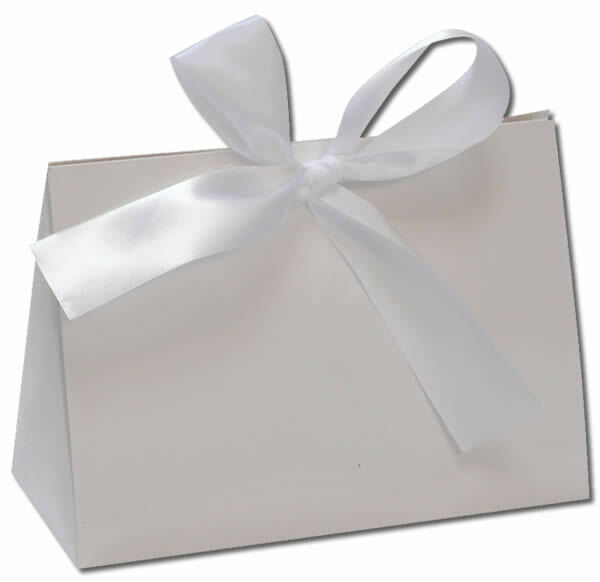 We nestle the bon voyage suitcase glass personalized Christmas ornament in our exclusive black velvet drawstring bag that enhances its presentation as a gift. For Friends Nov 12, 2014 Jan T.